HomeOrlando TVHealth care debate: Is Oz better than Phil? Local 6’s Post-Newsweek sister station, KPRC in Houston, has yanked Dr. Phil from its schedule — replacing the doc’s show with another doc — Dr. Oz. And in Detroit, B&C says another Post-Newsweek station — WDIV — is airing Dr. Oz at 3 p.m. — and has seen its 4 p.m. news ratings improve by 33 percent compared to last year. 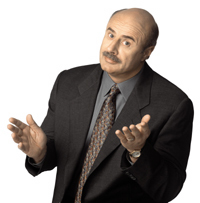 The irony is that even if WKMG wanted to replace Dr. Phil with Dr. Oz, it can’t. Hearst-Argyle’s O-Town duopoly of WESH and WKCF locked up Dr. Oz in this market. If anything, looks like it was — at the very least — a good defensive move by WESH.